Beta-agonists: What are they and should I be concerned? Beta-agonists are approved feed additives and are deemed safe by the U.S. Food and Drug Administration, where they act to enhance lean muscle gain, increase growth rate, and increase feed efficiency. Photo courtesy of Lindsay Chichester. Beta-agonists are approved feed additives and are deemed safe by the U.S. Food and Drug Administration (FDA), where they act to enhance lean muscle gain, increase growth rate, and increase feed efficiency. There are differences between specific beta-agonists, but those approved by the FDA include ractopamine (brand names include Optaflexx and Paylean) and zilpaterol (brand name Zilmax). They are used in the U.S. swine and beef production since receiving FDA approval in 1999 and 2003, respectively. Additionally, beta-agonists have been approved for use in more than 24 countries (including the U.S., Canada, and Australia); and some countries have restrictions on specific types of beta-agonists. Approval for use in turkeys followed, but beta-agonists are not used as extensively in the turkey industry as in the swine and cattle industries. Beta-agonists re-focus the energy spent on feed conversion, and instead of adding mainly fat to the animal at the end of the finishing period, beta-agonists signal the animal to also continue to add additional lean muscle 20-40 days prior to harvest. The beta-agonist binds to receptors in a muscle cell where it initiates an increase in protein synthesis, resulting in an increase in muscle fiber size. Beta-agonists are different than hormone implants in that the effects occur at a cellular level and do not affect the hormone status of the animal; whereas an implant, made of natural and synthetic hormones, does affect the hormone status of the animal to promote growth. Interestingly, beta-agonists have been used and studied in human medicine long before they entered the animal production industries. In human medicine, beta-agonists are inhaled directly into lungs of asthma patients to relax smooth muscles that are constricting airways; they are routinely used on smooth muscle tissue through direct entry into the cardiopulmonary system; and pregnant women who are in premature labor have beta-agonists injected into their blood via IVs, to relax the smooth muscle tissue of the uterus, preventing premature births. It is estimated that 60-80% of U.S. fed cattle are raised with a beta-agonist; either Zilmax (also known as zilpaterol hydrochloride, made by Merck Animal Health) or Optaflexx (also known as ractopamine hydrochloride, made by Elanco Animal Health). Zilmax has a three-day withdrawal period and is not intended for use in breeding animals, equine animals, or veal calves. With the addition of beta-agonists in an animal’s diet, there have been no reports of foodborne illness or human side effects reported. Beta-agonists have a very short half-life, meaning the animal’s organs break them down, metabolize and excrete them quickly in the feces and urine; ultimately resulting in no beta-agonists stored in the animal’s tissues (i.e. meat). On August 7, 2013, Tyson Fresh Meats announced that as of September 6, it would no longer accept (temporarily at this point) cattle fed the beta-agonist Zilmax. Tyson Foods said the decision was based on animal mobility and welfare concerns, not food safety. It is unknown what the true cause of the mobility concerns are from, but animal health experts suggested Zilmax could be a possible cause. This decision was based off of observations that animals were arriving at harvest facilities showing signs of difficulty in walking or moving. The decision came quickly and without direct science and research to prove these claims; there is currently no scientific evidence that supports that beta-agonists may be causing cattle mobility issues. Further, no indications of lameness and mobility problems have been reported in controlled feedlot cattle studies prior to these claims where tens-of-thousands of cattle were involved in direct research. Days after Tyson’s announcement, Cargill posted a statement on their website announcing they too will stop purchasing cattle fed Zilmax in North America until the Merck research study is complete. At this time, the other packers, National Beef and JBS, have decided not to follow suit and are still accepting animals fed Zilmax. Merck (the maker of Zilmax) has since taken proactive steps and announced it will temporarily suspend Zilmax sales in the U.S. and Canada during a product study period. During this period their plan is to establish valid study protocols, identify feeders and packers to participate in the audit, and create a third-party verification team to oversee the process and validate the results. Merck indicated that animal health and well-being are the first and foremost priority. The benefits and safety of the product are well documented in a 30+ year history of research, development, and rigorous testing of the Zilmax product. In addition, worldwide regulatory agencies have reviewed the extensive data and found that when used according to the label, it is safe. Merck also stressed they have a strict policy to “vigorously pursue all reported adverse events, whether or not they are deemed related to the product.” Merck also announced they would re-certify all feedlot operators using Zilmax, to ensure the drug was being used properly. In addition, a “scientific audit” will be conducted to determine the potential causes of lameness and other mobility issues in the cattle Tyson based their decision on. 1) Recertify every feeder, nutritionist, or veterinarian that feeds Zilmax to cattle, with special attention to feed mixing and determining which cattle are good candidates for beta-agonist use. 2) Within 30 days, reach out to packers and suppliers to initiate a scientific audit, focusing on feeding Zilmax. 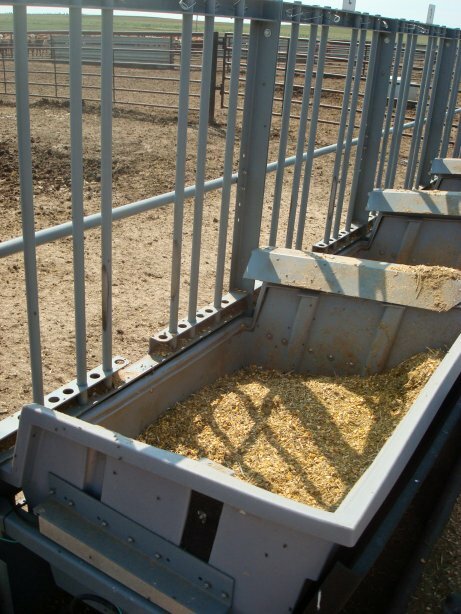 Cattle will be tracked from the feedlot to the packing plant to determine potential causes of lameness and other mobility concerns during feeding, transportation, off-loading, and staging at the packing facility. 3) Based on the findings, Merck will enforce appropriate management practices to include overall nutrition and feeding objectives, animal handling, low-stress environments, and transportation. 4) Within 30 days, Merck will form a health advisory board. The group will be made of small, medium, and large feeders, packers, cow-calf operators, and animal health and nutrition experts. These people will be responsible for reviewing available data and recommend any needed management practices. 5) Merck will share all findings. Tyson’s website indicates they process about 132,000 cattle a week, which is approximately 26% of the U.S. beef market; while Cargill indicates they are approximately 21% of the U.S. beef market processing about 174,000 cattle a week. Cattle feeders who sold to Tyson and/or Cargill now have three options, they can continue to feed Zilmax and market to other packers, switch to a different beta-agonist (Optaflexx in this case), or stop feeding Zilmax altogether. Optaflexx research indicates that carcass weight increases are not as significant as compared to the response from Zilmax, with six to eight pounds less per carcass. Market analysis reports indicate that the use of beta-agonists account for up to a 1.5-2% increase in meat production; which equates to approximately 24-33 additional pounds of beef, and six to seven additional pounds of pork. If you estimate that half of the 24 million head of beef cattle harvested annually produce an additional 30 pounds of meat. This would be an additional 360 million pounds of lean beef a year! This becomes a staggering number to ponder, especially as we continue to face drought, decreasing cattle inventory numbers, increasing grain prices, as well as increases in the price for red meat at a retail level. With an estimated 700 million pigs receiving a beta-agonist each producing six additional pounds, an additional 4 billion pounds of pork would be produced annually! While the use of technology in the cattle and pork feeding industry is making great strides, concerns have surfaced about the possibility of less tonnage of beef being produced in the coming months. It will be hard to tell immediately, as other beta agonists are available to cattle feeders. Industry reports have indicated fed-cattle futures and boxed-beef prices have moved higher, with shorter beef supplies anticipated. The goal is to ensure that the animal’s well-being is considered first and foremost. Animal health companies, feedlots, and the packing industry are working in conjunction with scientists, researchers, and cattle industry representatives to determine the cause of the mobility and lameness concerns (these allegations will be proved though sound science and research), and to address this problem if one is found to exist. In this case, animal mobility has become an animal care concern and the beef industry is being proactive by temporarily halting sales of Zilmax to complete further research. Stay tuned as all research results will be made available!